Borce Ristevski manslaughter: How he tried to avoid getting caught. Changing details and secret phones: How Borce Ristevski tried to avoid detection for killing his wife, & more in News in 5. 1. Changing details and new SIM cards: How Borce Ristevski tried to avoid detection for killing his wife. Borce Ristevski constructed a large web of lies to try and avoid investigators finding out that he killed his wife Karen, according to newly released court documents. A ruling made by Justice Christopher Beale last week and published on Monday led to prosecutors withdrawing the charge of murder, and Ristevski admitting instead to the lesser charge of manslaughter of his 47-year-old wife Karen. Ristevski may have killed his wife, shoved her body in the back of her Mercedes-Benz and dumped her between two logs in a forest, but that didn’t prove he meant to murder her, the Supreme Court of Victoria found. The court documents revealed how far 55-year-old Ristevski went to avoid detection for the crime. During conversations with his daughter Sarah, Ristevski allegedly was critical of the police investigation and said “they don’t give a f***” in a taped phone call. The documents also show Ristevski seemingly knew his mobile phone was tapped and was trying to get Sarah’s boyfriend to obtain new SIM cards. He changed his phone number twice. He also told different people different stories. Ristevski initially told police his wife went upstairs to cool off after an argument about finances, but later changed his story to say she immediately left the house out the front door. At another point he said she had left through the garage. The Crown alleged that after killing his wife at their Avondale Heights home, following a series of arguments about their finances, Ristevski drove his wife’s body towards Macedon Regional Park. Police said on the way, Ristevski turned off both his and his wife’s mobile phones, then dumped his bride’s body, covering it in branches. 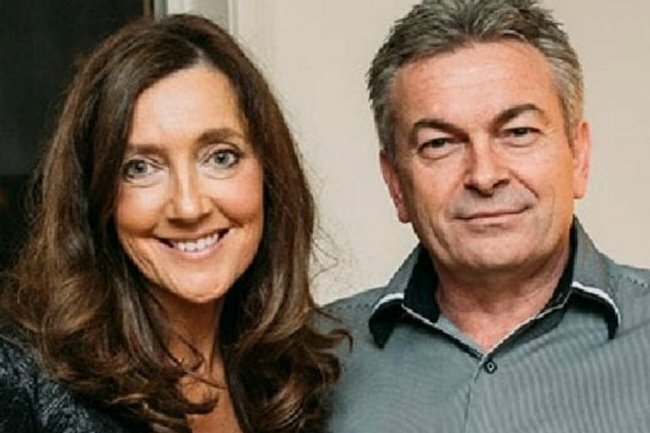 Mrs Ristevski’s body was not found for almost eight months. But Justice Beale said prosecutors could not rely on Ristevski’s post-crime conduct to prove murderous intent. They also argued the couple’s financial position would likely deteriorate if Ristevski killed his wife, given she was the “heartbeat” of the Bella Bleu clothing business they co-operated. Justice Beale said the killer’s post-offence behaviour could have meant, as argued by his legal team, Ristevski feared estrangement from his daughter and substantial prison time. “… In this case there was no evidence of murderous intent other than the post-offence conduct,” Justice Beale said in his reasons. He agreed with the defence team that a lack of evidence showing premeditation supported the inference that Ristevski’s conduct was “spontaneous” and his post-offence behaviour was consistent with a “panicked reaction”. 2. Prime Minister Jacinda Ardern promises urgent reform of New Zealand gun laws. New Zealand Prime Minister Jacinda Ardern has pledged a swift crackdown on guns as the city of Christchurch continues to mourn and prepares to bury its dead. Ten people, including a four-year-old girl, remained in critical condition on Monday, three days after a shooting at two mosques allegedly carried out by Australian white supremacist Brenton Tarrant killed 50 and wounded 50 more. Ardern confirmed she would present new gun laws within 10 days, while calling for residents to consider voluntarily handing over their firearms. Earlier in the day, it was revealed Tarrant had bought four guns online from a Christchurch store, none of which were the semi-automatic rifles used in the massacre. It’s thought the weapons employed in the attack were bought legally using a licence and then later modified. Meanwhile, in NSW, counter-terrorism police assisting New Zealand investigators raided two homes, including one that’s believed to belong to Tarrant’s sister. “The community can be assured that there is no information to suggest a current or impending threat related to this search warrants,” Australian Federal Police and NSW Police said. Officers from the AFP and the United States’ FBI have also joined 250 Kiwi investigators working on the case. While armed officers maintained a heavy presence across Christchurch and mosques are expected to remain under guard until Friday, residents on Monday began to return to work and schools. Preparations were still underway for funerals in the city’s east, as families of victims continued to wait for the release of bodies. Investigators have in recent days tried to give assurances they’re acting as swiftly as possible, amid concerns the delays have prevented the swift burials called for under Islamic tradition. Hundreds of students in the evening gathered near Deans Avenue, near where gunfire first broke out on Friday, the latest in a series of vigils held across the country. But an official memorial would not be held this week, Ardern confirmed. “We want to ensure that the priority for the coming days is the families’ opportunity to grieve together,” she said. During the day, emergency staff involved in the response told their stories to media. “There was a river of blood coming out of the mosque … It was literally flowing off terracotta tiles,” said ambulance technician Paul Bennett, who said even working through the deadly Christchurch earthquake of 2011 had not prepared him for what he found. Nearby, an 18-year-old local man accused of distributing a live-stream of the attack posted by Tarrant, but was not connected to the attack, appear in the district court. The teen – who is also charged with posting a photograph of one of the mosques attacked with the message “target acquired” – was denied bail and could face up to 14 years’ jail if found guilty. Facebook earlier said it had taken down 1.5 million copies of footage. In Canberra, Scott Morrison call for supporters of Tarrant to be called out, saying the sheer number of disturbing responses in support of the Christchurch terror attack showed how hard it was to identify potential terrorists. Authorities have confirmed Tarrant will stand trial in New Zealand and any deportation is unlikely until his potential sentence is fully served. 3. “It was very, very distressing”: New Zealand ambulance staff recall the scene at Christchurch mosque. “There was a river of blood coming out of the mosque … It was literally flowing off terracotta tiles,” he said. He and other emergency staff have recalled in detail the scene on Friday after shootings at two mosques left 50 dead and 50 more injured in New Zealand’s worst shooting. “He had spent a total of four weeks in the back of an ambulance prior to that day, so baptism by fire,” shift supervisor Jason Watson said. Some visibly emotional as they grappled with what had occurred, the group of respondents told reporters of stepping over bodies to collect the wounded and the unparalleled stream of reports that rushed in from 1.44pm. “She was very emotional and hysterical … she was determined to go,” Dennehy, a Christchurch resident herself, said, noting all three survived. “A good half of the patients I saw go into the back of ambulances I expected to die within an hour,” he said. “The fact that only one has is incredible and is a plus to the entire Christchurch emergency services community and members of the public that helped out. 4. Australia’s worst female serial killer Kathleen Megan Folbigg to give evidence at inquiry. Folbigg was jailed for at least 25 years in 2003 after she was found guilty of killing her four babies – Caleb, Patrick, Sarah and Laura – in the decade from 1989. Her children all died at home aged between 19 days and 19 months. The NSW government agreed to a judicial review of her case in August 2018 and hearings began on Monday. The inquiry is focused on medical advances and new research – including multiple infant deaths in the one family attributed to unidentified natural causes. The crown prosecutor in 2003 submitted “it has never been recorded that the same person has been hit by lightning four times” and “I can’t disprove that one day some piglets might be born with wings and that they might fly. Is that reasonable doubt?”. Professor Rosemary Horne on Monday testified SIDS itself was rare but “the general consensus seems to be that more than one SIDS in a family is very rare”. Mr Blanch will prepare a report on the inquiry’s results for the NSW governor. If the judicial officer feels there’s reasonable doubt over Folbigg’s guilt he can refer the matter to the Court of Criminal Appeal. 5. “When the next person dies you can get help.” Aged care commission hears stories of suffering dementia patients. Australians living with dementia suffering the “deepest and darkest” depression have been forced to wait for people to die so they can access adequate care. “Every person we have met has gone through the deepest and darkest depression at some stage,” Ms Henderson told the hearing. 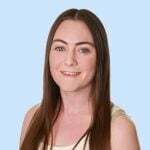 Her first provider, HammondCare, took 34 per cent of the home care package in management fees – vastly above the 14 per cent which is now being taken. HammondCare also didn’t provide advice on case management, she said, forcing Ms Henderson to do it herself with the help of a GP, two neurologists and a retired registered nurse. “That made me extremely angry,” she said. “Every morning she had two-hour long panic attacks which were terrifying. Those panic attacks were unbelievable,” Ms Henderson said. “Someone shouldn’t have to be told ‘when the next person dies you can get help, but until then tough bickies you can’t’,” she told the hearing. Presbyterian Aged Care NSW and ACT boss Paul Sadler said government letters informing people they’ve been approved to receive a home care package, and have been put on a waiting list, often leave people confused. “People don’t understand that difference,” he said.